I always look forward to the summer months, when we get to spend the long hot days making new memories together as a family. There's nothing quite like forgetting the world, soaking up the sunshine, and embracing the season whilst off on another one of our little adventures. Although we love to get away, we do try to make the most of our time at home by fitting in as many day trips as we possibly can. 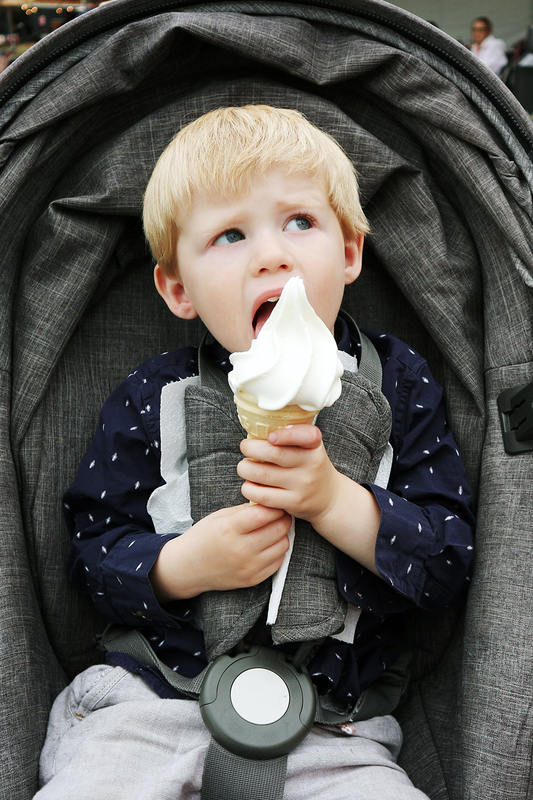 This year we were kindly invited by Newmarket Racecourse to experience one of their Summer Saturdays, and it was honestly one of our favourite days of the season. 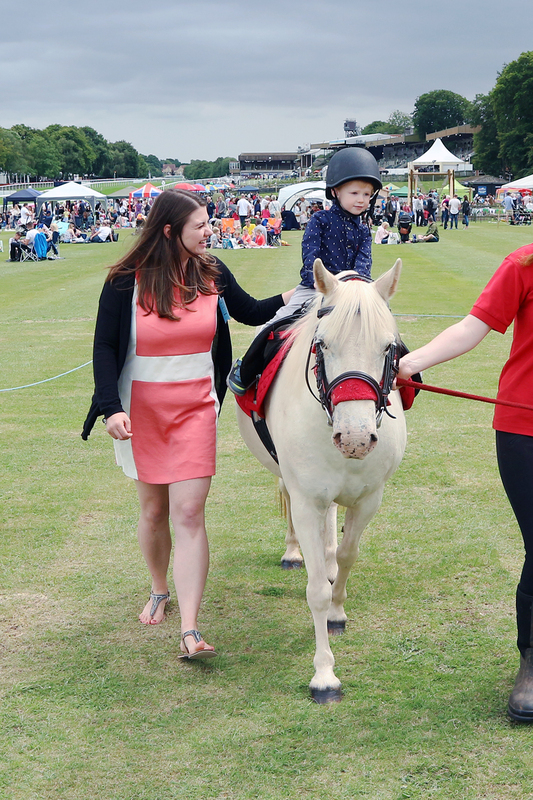 The idea behind their Summer Saturdays is simple; a fun day out for all the family, with activities for the kids and horse racing for the adults - totally win-win. Each week has a different theme, from a 'Great British Summer Day' to 'Sports Day', there really is something for everyone. 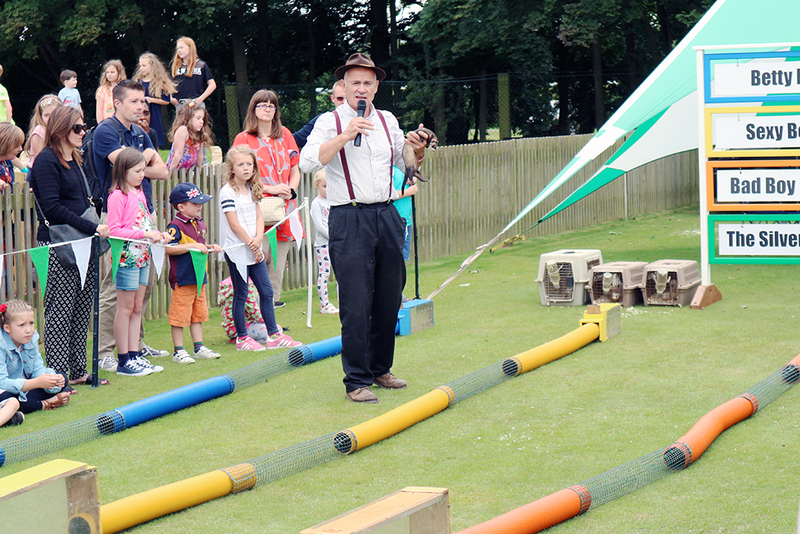 The activities are located within the family enclosure, which is the most relaxed area of the Adnams July Course. You are able to bring along your own picnic and quite literally set up camp for the day. We saw loads of people with folding chairs (whilst wishing we'd brought our own! ), and a few people even took it one step further by taking their own gazebos! We chose to go to their 'Countryside Day' as it was the one that we felt Zach would enjoy the most. 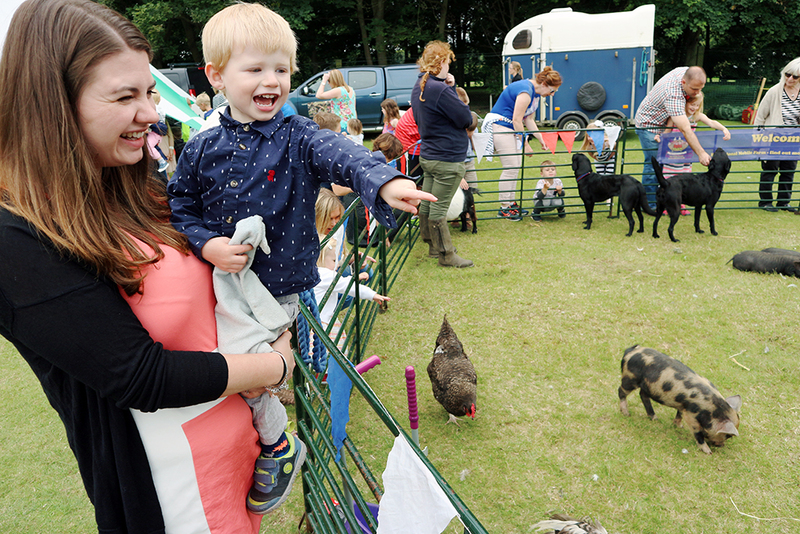 The activities included ferret racing, a petting zoo, pony rides and even a sheep dog and duck display! These are all included in the ticket price, and although the event is busy we were happy to find that we didn't have to queue for anything for very long. After finishing the picnic we had brought with us, Zach literally dragged us straight over to the pony rides. After our week camping in the New Forest he is absolutely obsessed with 'ishies' (horses in Zach speak) and asked if he could have a go. He was by far the littlest one in the queue, but I could tell that he was really excited, and once he was sat in the saddle he was totally in his element. I have a feeling we might have to look into horse riding lessons for him! We also saw lots of farm animals at the petting zoo, and even caught a ferret race which was far more entertaining than I thought it would be. Zach was totally engrossed, and even went to stroke the ferrets once they had navigated their way through the course and across the finish line. Tickets are surprisingly inexpensive, from just £11 per adult for entrance to the family enclosure, whilst children are completely free! Although the advertised activities are all included in the price, you do have to factor in those little extras, which for us included ice cream, drinks and a few cheeky bets. There's also lots of food to choose from in case you fancy buying something there rather than taking your own. Of course, you might win big, and come home with pockets full of cash! To let us get the proper Newmarket Racecourse experience, our tickets were kindly upgraded to 'Premier', which is something you can either book in advance, or simply do on the day. This enclosure was a little stricter than the family enclosure - it has a formal dress code, and you're not allowed to bring in your own food and drink, but you are able to get right up to the finish line which is where all of the best action is! We also had access to the 'Grandstand and Paddock' enclosure, which is something of a middle ground between 'Premier' and the 'Family' enclosure. This is the area where the horses are shown at the parade ring before each race. Out of the whole day this was the only bit that I wasn't particularly keen on, as some of the horses looked pretty unhappy about being walked around in a circle and shown off to the crowds. 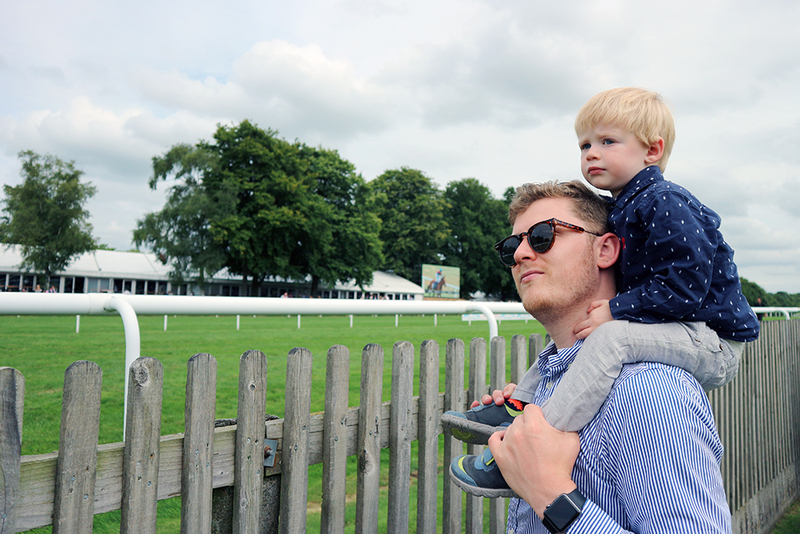 Overall, we had an amazing day at Newmarket Racecourse's Summer Saturdays, and I definitely plan to go again next year. I was really impressed with the price of the tickets for the family enclosure, and loved that all of the activities were included. There was so much to see and do, and we were able to keep Zach entertained for hours, which is always a winner when you have a toddler. Make sure you keep an eye out for the dates next year too, and hopefully I will see you there! 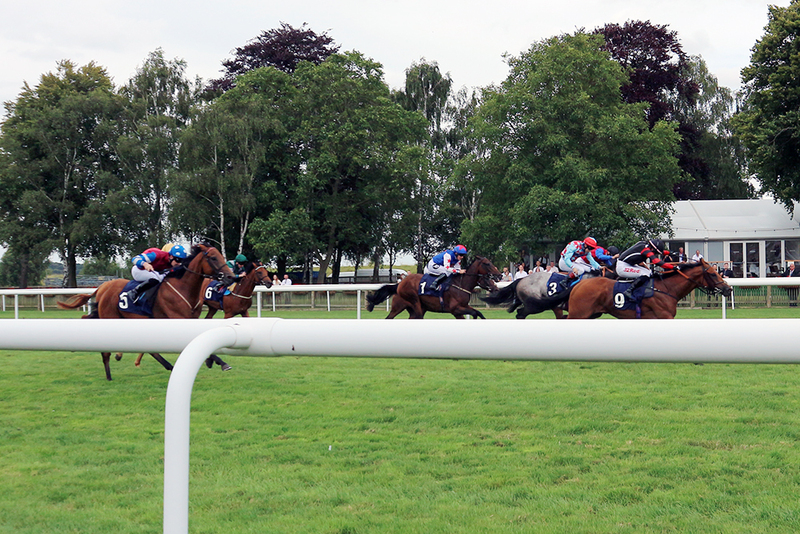 *This post is in collaboration with Newmarket Racecourse, who kindly gave us our tickets for the day. All opinions are my own, as always.